Take a deep breath – let your lungs expand with the atmosphere your eyes can see – this is football, this is European knock out football and NOTHING comes close to it – period. 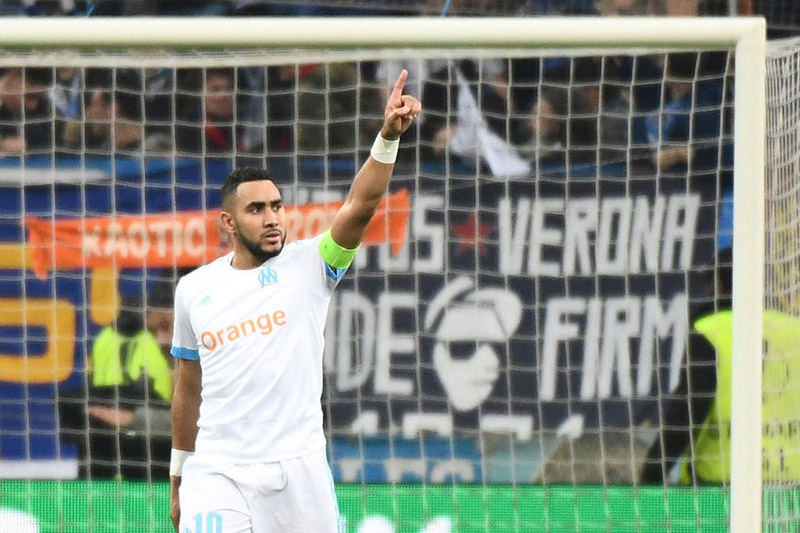 In a week where Manchester, Rome and Madrid took centre stage, a certain French port was not about to be left behind – Marseille vs Leipzig showed all who watched that the Europa League isn’t a second-tier competition when it reaches its latter stages. The smoke from the home fans’ flares had barely dispersed when this extraordinary game detonated into life. Naby Keita was left all alone on the right wing – the Leipzig midfielder cut inside the French backline and picked out Augustin. Under immediate pressure, the France U21 international kept his composure and slid in Bruma. With 72 seconds on the clock the Portuguese winger slotted the ball home, it was the away goal the Saxony side craved and it had come early – very early. It became the catalyst for the most amazing twenty minutes of Europa League football seen inside the Orange Vélodrome this season. On only one occasion in the last two and a half years had Marseille lost a Europa League tie in front of their own fans, tonight wasn’t going to be number two. From their next corner Les Olympiens laid out their intent – Stefan Ilsanker credited with the own goal but it was all about Konstantinos Mitroglou from the Marseille set piece. With the home crowd fired up the hosts hit top gear, Peter Gulacsi tried his best with two reactionary saves but he could do little about Bouna Sarr’s rocket – it left the Hungarian routed to the spot, two-one and the game wasn’t even ten minutes old. What followed was breath-taking, absolutely breath-taking. People talk about football as a rollercoaster ride, this was something only available on a simulation – no ride this surreal could be built with human hands. On 17 minutes Dimitri Payet wheeled away in celebration, only to find his wonder strike had been ruled off-side – he was to have a definitive say in the tie later. Just as the end of the first half approached, Florian Thauvin hit a dramatic third – the stadium erupted, the noise as phenomenal as the game itself. Leipzig now needed another away goal, and they needed it fast. The delectable and influential genius that is Naby Keita took the game by the horns – driving at speed the Guinean showed exactly why Liverpool wanted to shell out in excess of €65 million for him. A back heel assist to Augustin the end product of a darting run – Augustin curled his shot from the edge of the area. You could hear a pin drop inside the stadium as the ball rolled out of the net. Olympique Marseille hardly flinched, they walked to the centre circle and just continued to do from the kick off what they had done for the previous half – attack, attack, attack. On the hour mark the hosts were rewarded – denied by the assistant’s flag in the first half, Payet was now to leave his mark on this fixture. The ex-West Ham player danced into the box before executing the most wonderful finish with the outside of his boot – GOAL, c’est magnifique! Leipzig didn’t give up, they gave their all to find another crucial away goal. As the game went into added time the brilliant Gulacsi stormed into the box in search of the goal that would have topped off his heroic performance. He didn’t get it and the French side broke from the corner to add a fifth – Sakai sliding the ball into an empty net. The Hungarian ‘keeper had pulled off a raft of tremendous saves – he could do little for the five conceded. On the balance of play, it was the hosts who deserved to go through to the semi-finals, but RB Leipzig had played their part in an epic Europa League encounter. The midfielder not only scored a wonderful goal, he dragged his Marseille side back into contention when they looked shell-shocked in only the second minute. Dancing through the Leipzig defence in the second half, he had the creativity to bend the ball into the top corner with the outside of his boot. Not even the in-form Gulacsi could stop it. In every essence of the phrase it was a ‘world class finish’. Leipzig started the game perfectly; however, their defensive issues ensured the first half ended less than perfect. Although they played their part in an epic fixture, it is their concentration that once again lets the Saxony side down. Their inability to deal with the hosts first set piece allowed the game to slip away from them, just when they had it in the palm of their hands.